When you share your website OR Website pages into Linkedin, Everything should looks great like title, description, image and link on title. 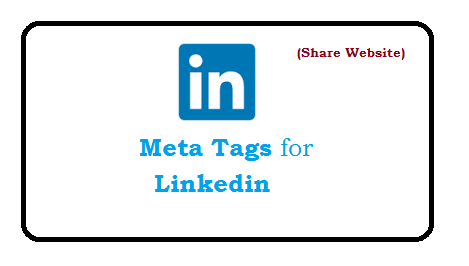 So that sharing can attract linkedin users to your website by clicking on link. For this You have to integrate Open Graph Tags into your websites. same as your might have integrte for Facebook Open Graph OR Twitter card. Adding Meta tags into website is quite simple, See below. 2) Add Following tags between <head> and </head>. Now please update the data as per your website page.